Samuel R. Marchese is an Associate in the Administrative Department of the firm. Mr. Marchese joined the firm in 2015 as an Associate in the Administrative Department. Mr. Marchese’s practice includes advising and representing owners of rent regulated buildings in administrative proceedings before the New York State Division of Housing and Community Renewal (DHCR), the New York City Department of Housing Preservation and Development (HPD), the New York City Department of Buildings (DOB), and other City and State agencies in all stages of administrative and judicial review. He has successfully advocated and litigated harassment and non-compliance proceedings before DHCR. In addition, Mr. Marchese has represented numerous clients in Bankruptcy Courts and advises clients on creditor’s rights and bankruptcy proceedings. 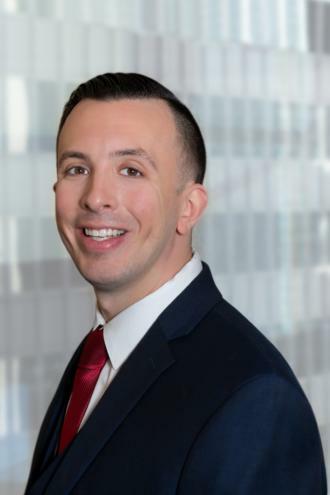 Mr. Marchese was recognized as a Rising Star by The Real Deal, New York in 2018.